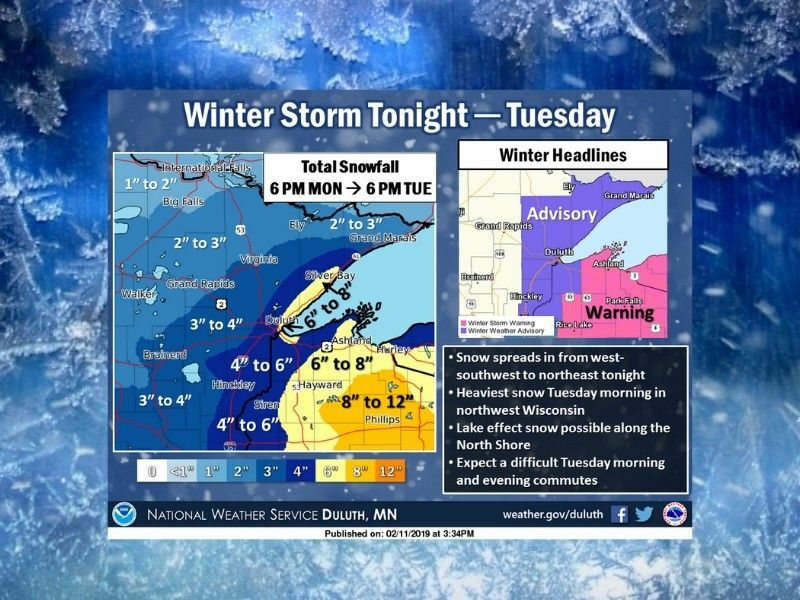 The heaviest snowfall will be across northwest Wisconsin. A winter storm them moves in tonight and lasts into Tuesday. Winter Storm warnings are in effect over most of northern Wisconsin while Winter Weather advisories are in effect over northeastern Minnesota. This system will cause hazardous travel conditions during the Tuesday morning and evening commutes.